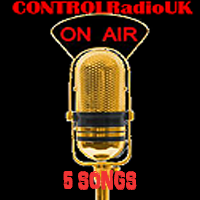 Here at CONTROLRadioUK we're always on the look-out for music be it for the playlist, or just because we think the tracks are pretty neat so heck out our picks below. I'm really sad I didn't get the chance to feature this last week, because this is so awesome I've been listening o repeat, but I can only include 5 songs here; with so much awesome music things get bumped. Ordinarily The Last Shadow Puppets are not my thing. I've included them here before because the video was so great I couldn't not. This time they're here partially for the video & also because this sounds really good. Ok! I'm living for Alex's dancing because this guy has a lot of energy. Gonna also comment I studied French at school (yet another interesting fact) before switching to Spanish & once you're Espanyol you don't wanna go back (I'll always love you Francais for giving me crossaints), so for me liking a French song is a rarity and they make this song sound so exotic when in English the lyrics are pretty redundant. The Last Shadow Puppets are an English super group I thought I'd hate for eternity, but actually turns out they make some ok tunes. This song ISN'T take from the album 'Everything You've Come To Expect' which considering the events of this year must now be looked at as a cruel twist of irony, but instead the 'Dream Synopsis EP' which you can pre-order now. I could wax lyricals about how Dua Lipa is my favorite new female singer this year, I've yet to hear a song from her I don't like & it is mind-boggling how she's been releasing songs from her debut album since last year but it's not out until February but what's the point? I've said it all before & if you don't know who Dua Lipa is by now...... well where's a bangheadondisk.gif when you want it? I'm gonna straight up admit I know nothing about Shay, nor what she's actually singing here, since my Foreign Language Education stretches to a few words of French & Spanish followed by bits I pick up watching Foreign shows so I can't give insightful commentary here. All I can say is I like the sound of the song, so did the rest of CONTROLRadioUK HQ. But you should know we spent hours searching on Google for information about her & this song, because we're nothing if not professional here at CONTROLRadioUK HQ. Still didn't come up with anything useful. My above limited education tells me she's either French or sings in French & possibly has an album called 'Jolie Garce' that you can pre-order now but don't quote me on that. My apologies for my total Language failure this week, but I assure you I do have some Language books on my Christmas list. Not very helpful right now I know! But come next year I'll be a Master of the Arts. And on this weeks edition of 'Say something nice about a music video, don't just be snarky all the way through because it's not professional' we have this. I'll start by saying I absolutely love the song & I have taken a peek inside their back catalogue which has some tunes. I'll then continue by saying I love the scenery in this video which is so calming, relaxing & so beautiful it makes me wondeer why I'm not exploring this beautiful planet we're home to, instead of having my passport gather dust. I'll also say this is one of those songs where the vocals & music go together so perfectly it's dreamy. Oh & being out in the middle of nowhere with mountains is on my list of dream vacations. I may have made some above snarky commentary to the rest of CONTROLRadioUK HQ when i first came across this song. You should know it did provide a lot of laughs & I did get a few head nods agreeing with me. Unfortunately I can't repeat said conversation here partially because I don't wanna seem like I'm being mean when I'm not. Also because I'm not allowed to. Yes my dear faithful audience! There's only so much snark I'm allowed to include in these articles before I'm told off. Joseph is an American folk band and their album 'I'm Alone You're Not' is available now. The lyrics here I am to point out are slightly repetitive & apparently this song doesn't go anywhere 'so why on earth would you want to choose this as a pick'? Well if you stay with the song beyond the first 50 seconds, you'd see the lyrics are deep & not every song needs to be bursting to the bream with base & music on top of each other. I'll acknowledge the fact I'm not a fan of 'Gold' which was released before this, but that's simply because I never like the 'it' songs which are overplayed; come back to me in a year or two's time & I'll possibly like it. I'll also say I really like what she's done with this video; the premise is simple yet so powerful. She's also getting points for how pretty this video is (I will never apologise for appreciating scenery). Kiiara is an American singer/songwriter and the 'low kii savage' EP is available now.